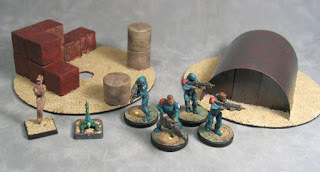 First up- 4 more Vanguard Troopers from the Battle for Alabaster box. 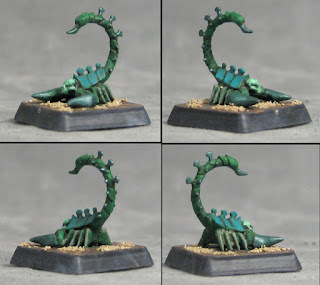 The first Reaver heavy weapon. The first Lancer heavy weapoin. 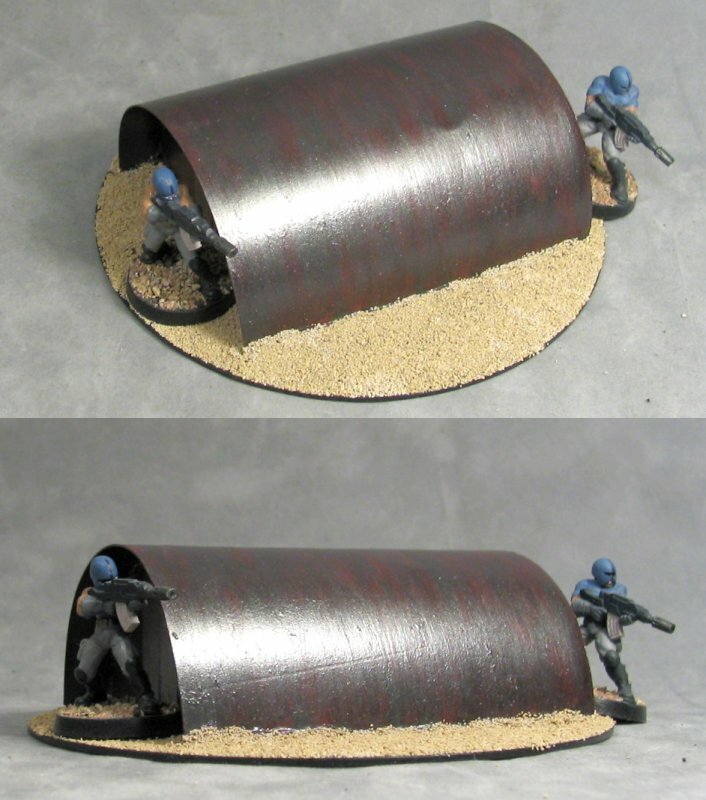 The first male Vanguard Trooper. 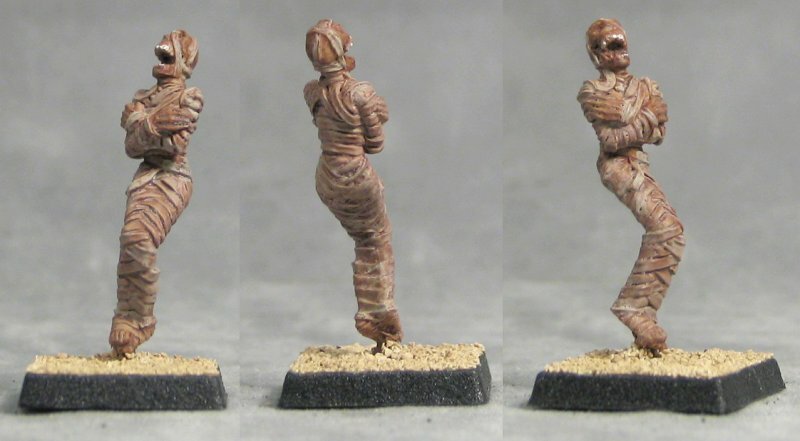 A Tormented Mummy figure from Crocodile Games. 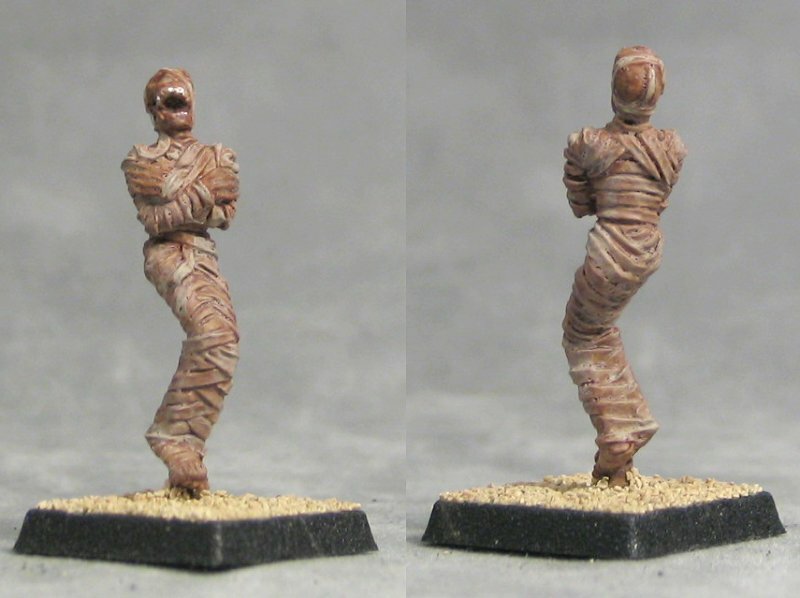 Poor guy is floating along the sands a puppet of the Eater of the Dead. 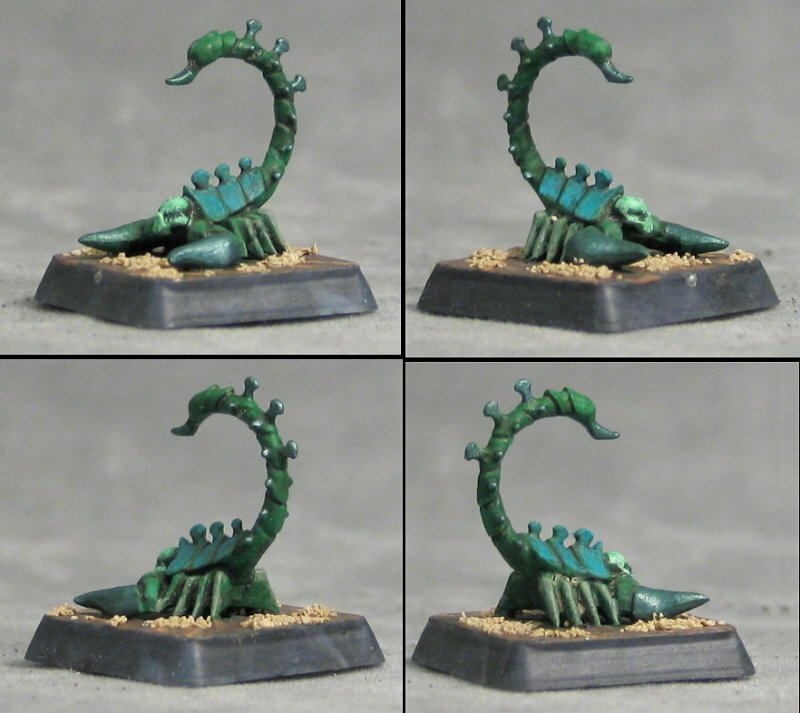 Anobjective marker for various settings- the Jade-ish Scorpion. 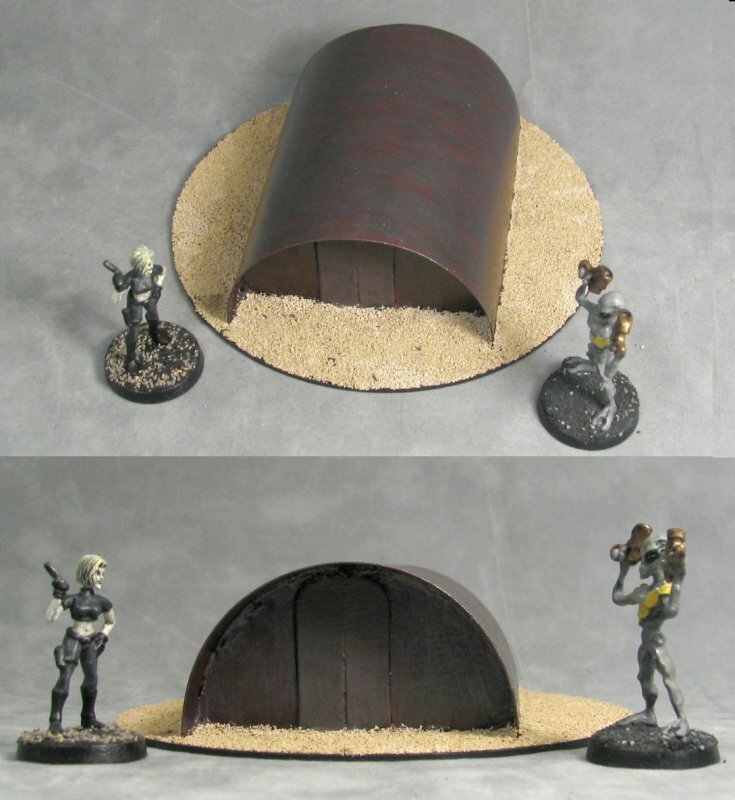 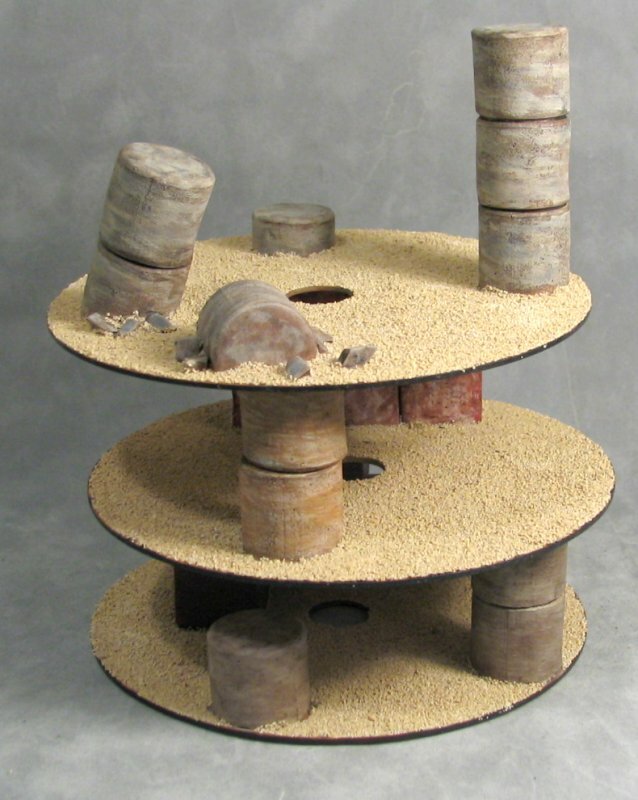 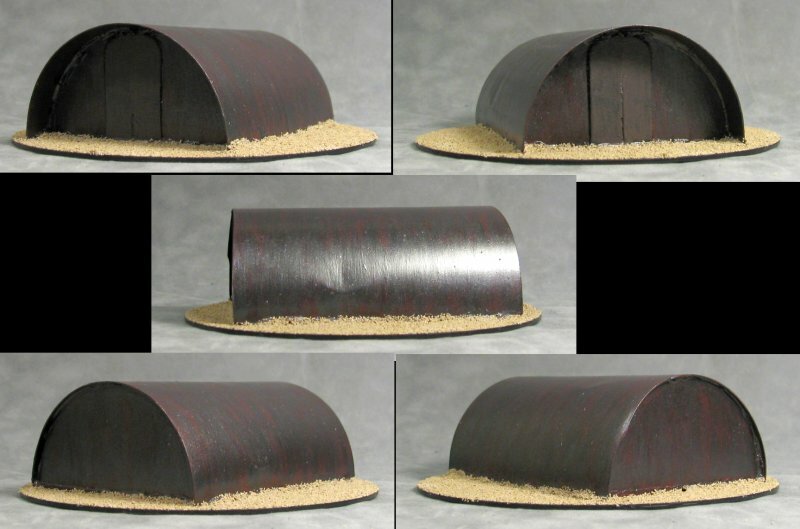 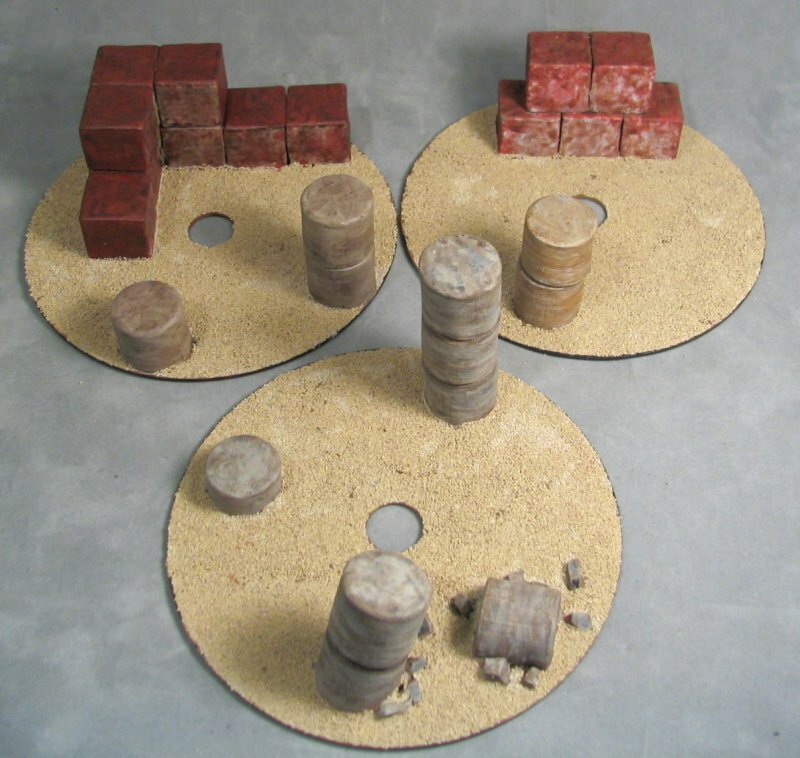 More CD base terrain!!! 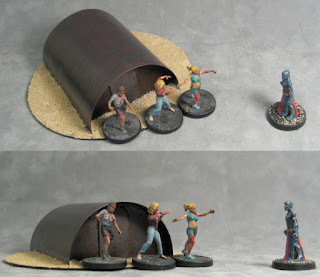 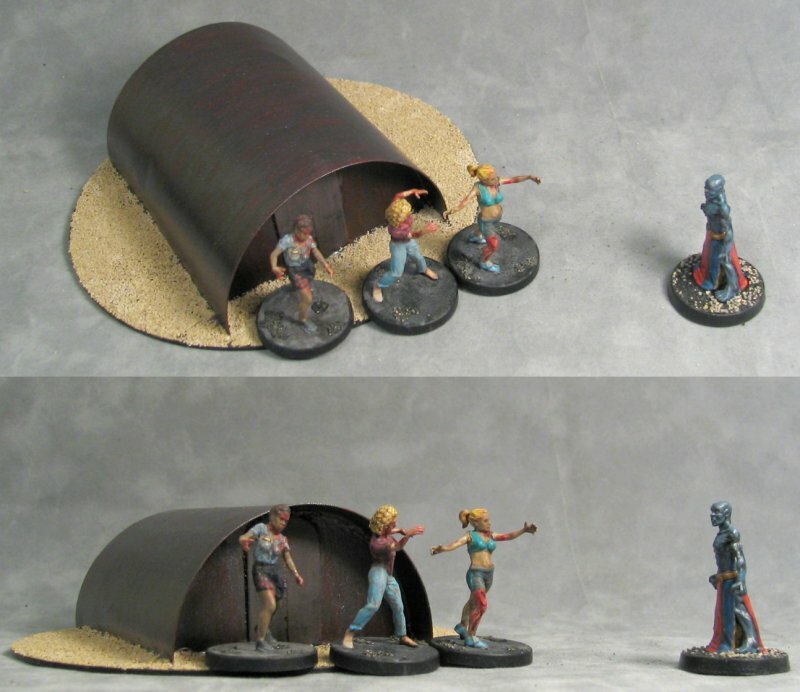 A plastic waterbottle cross-section for a simple quonset hut multi-genre piece. 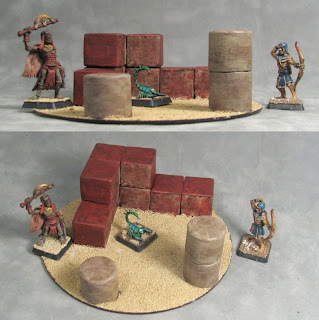 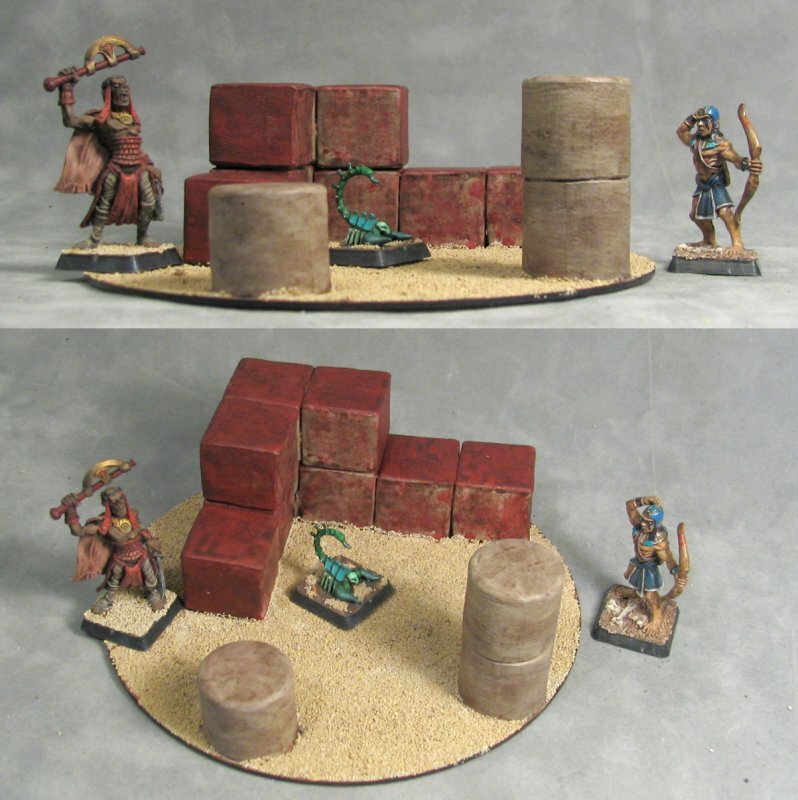 ...and another ruins piece made with foam blocks and marshmallows. 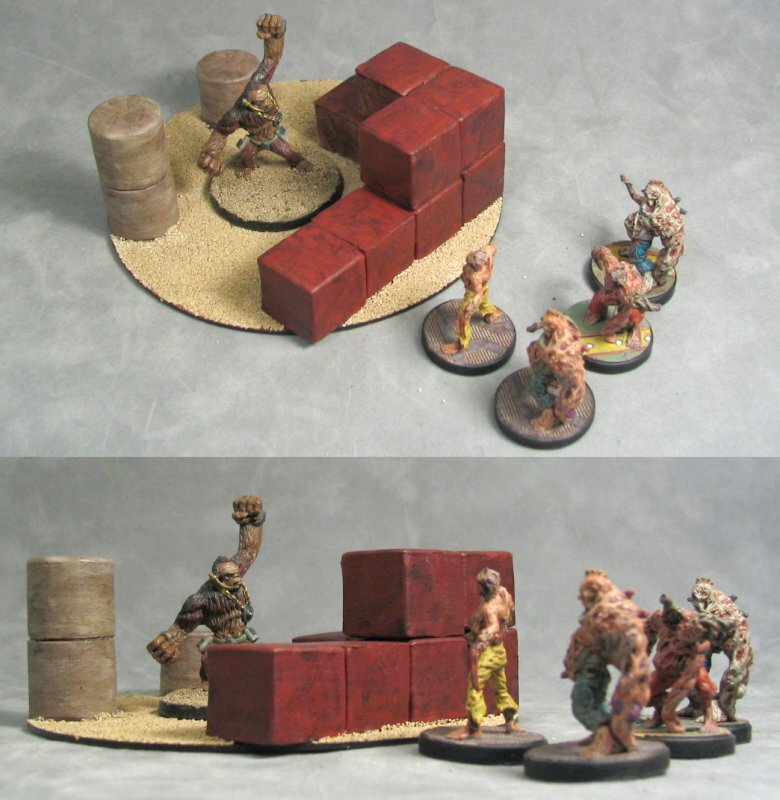 Finally, a look at the expanding Ruins set. 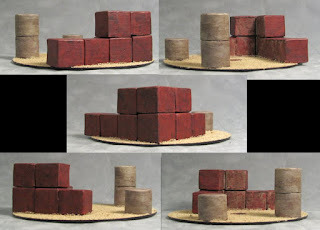 And also how they stack up nicely for shelf storage.